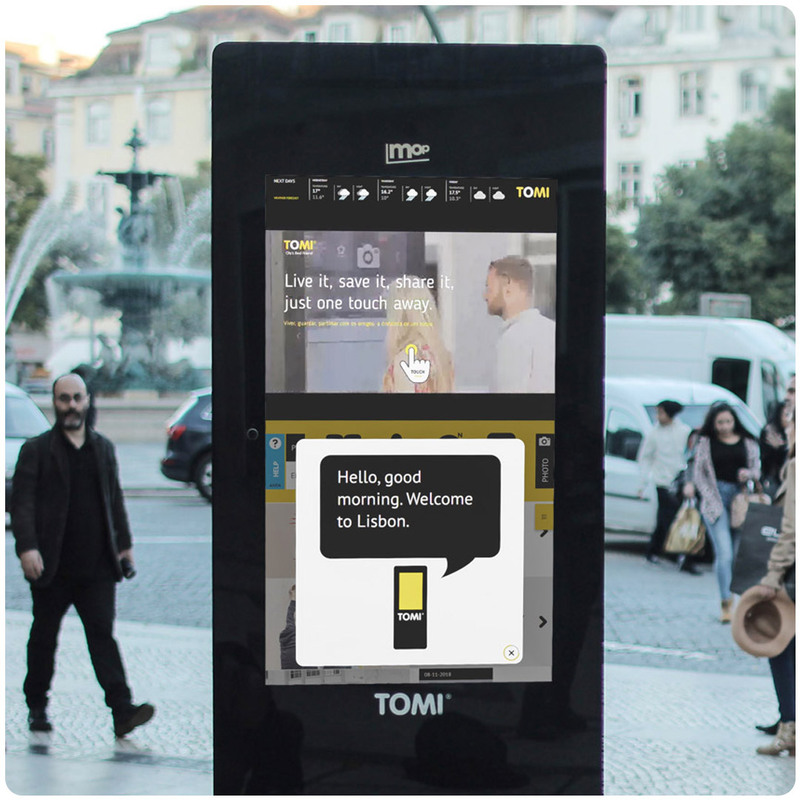 TOMI Lisbon NOW: Lisbon is more accessible with TOMI! Lisbon is more accessible with TOMI! It’s called TOMI For All and it ensures that everyone, regardless of their physical or cognitive condition, can look for information and smart services on the platform. We are shaping inclusive smart cities with TOMI. In 2018, TOMI arrived at two new locations in Lisbon: close to Largo Bordalo Pinheiro and Praça da Figueira. These are fantastic places in the capital. Largo Rafael Bordalo Pinheiro is between Chiado, Carmo and Trindade, some of the most well-known places in Lisbon. 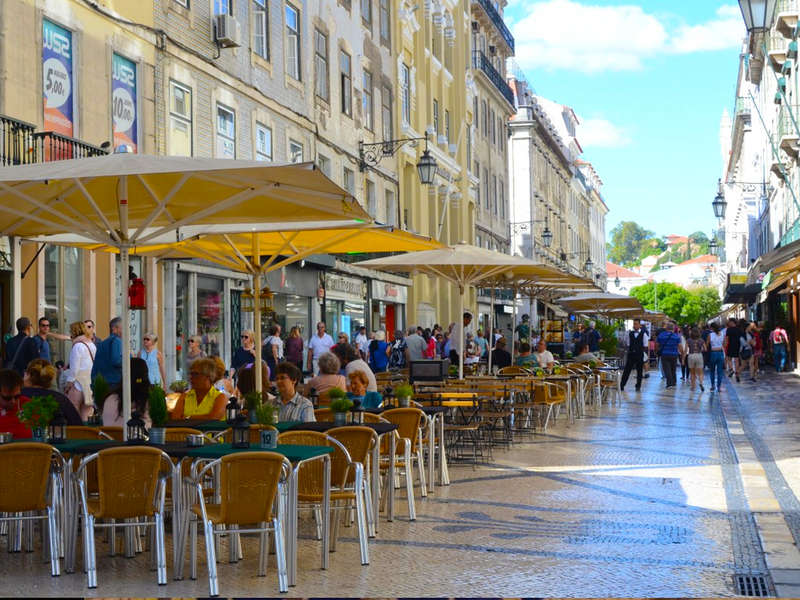 Praça da Figueira is a large square also in the centre of Lisbon, being surrounded by several hotels, cafés, and shops. TOMI Lisbon registered a great increase in the interactions during the Summer. See the reports of July > and August >. Remember @jjgujjar? He continues its tradition of always taking a TOMI selfie on the first day of the year! TOMI received seven worldwide recognitions! 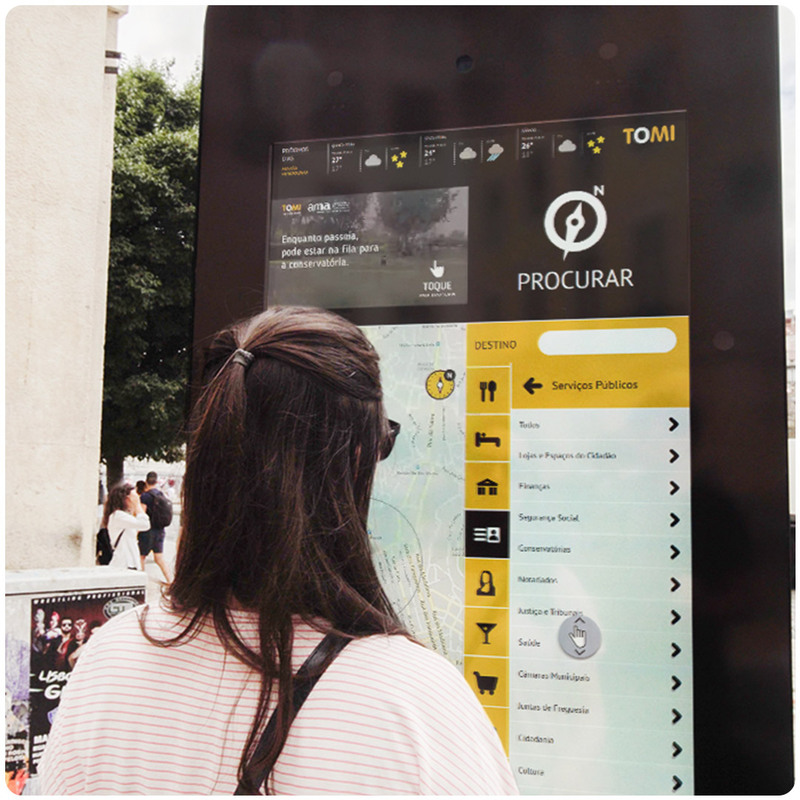 TOMI launched an innovative service resulting from a collaboration protocol between the Agency for Administrative Modernization (AMA) that brings public services to the streets of Portugal. 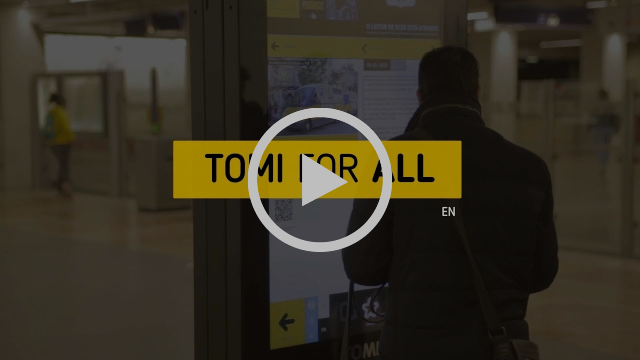 People can take digital tickets for ‘Loja de Cidadão’ and other public entities on TOMI. TOMI’s Search module received a visual boost with the implementation of new icons in different categories. TOMI says hello: TOMI is more innovative and teaches expressions in the local language to foreign visitors. From movies to important car brands or alcoholic beverages, several brands choose TOMI to communicate with their audience in an engaging way through the year. 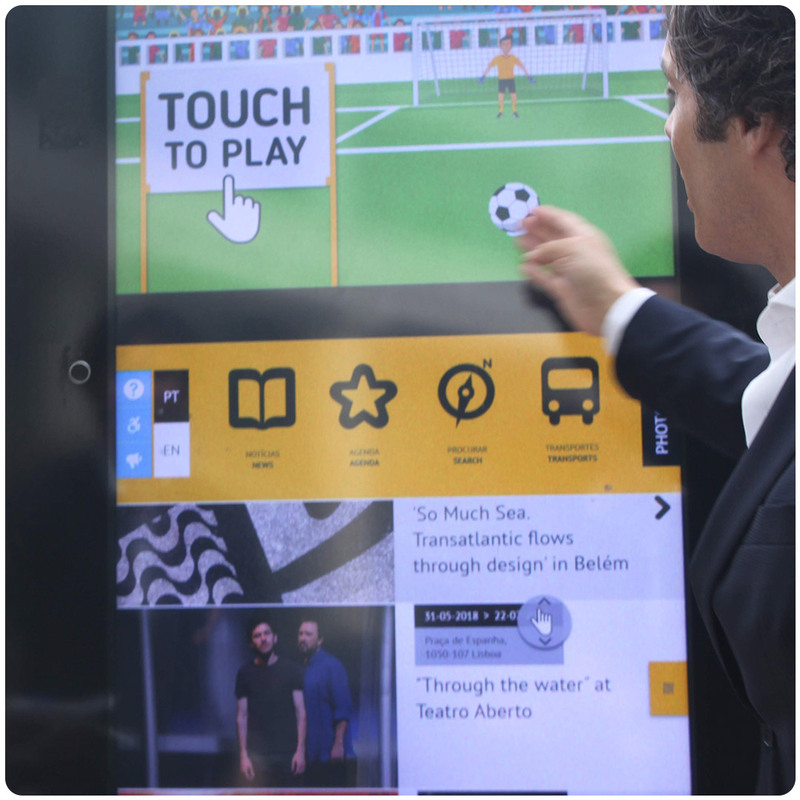 TOMI created several engaging campaigns and interactive experiences to enable engagement with our users on important dates such as Christmas, New Year, Mother’s Day, Father’s Day, Easter, Women’s Day, Valentine’s Day, the World Cup and so much more! 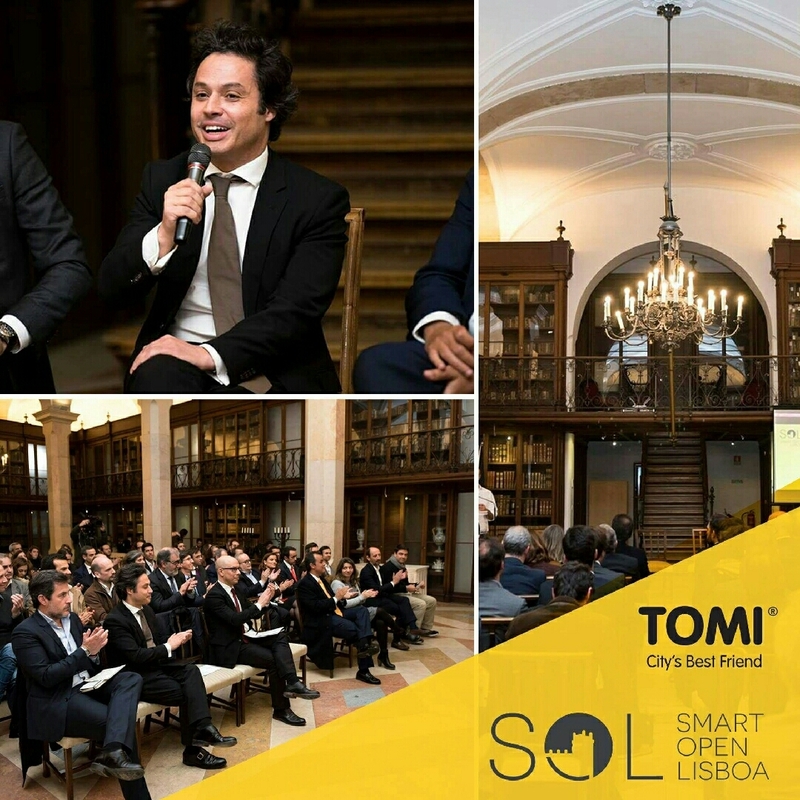 TOMI became an associated partner in SOL, a forward-thinking initiative organized in partnership with Lisbon City Hall (Câmara Municipal de Lisboa) to upgrade life in the city. 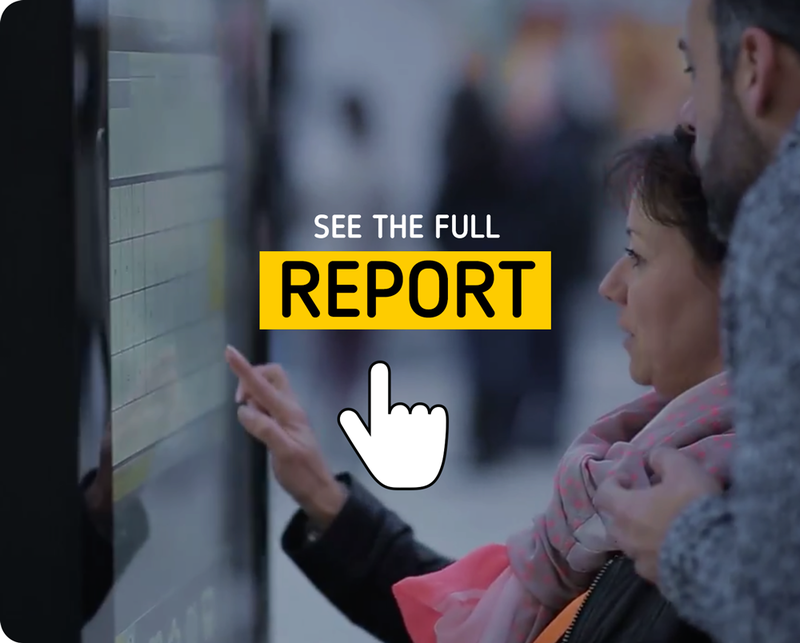 In 2019, this initiative will continue to improve Lisbon!